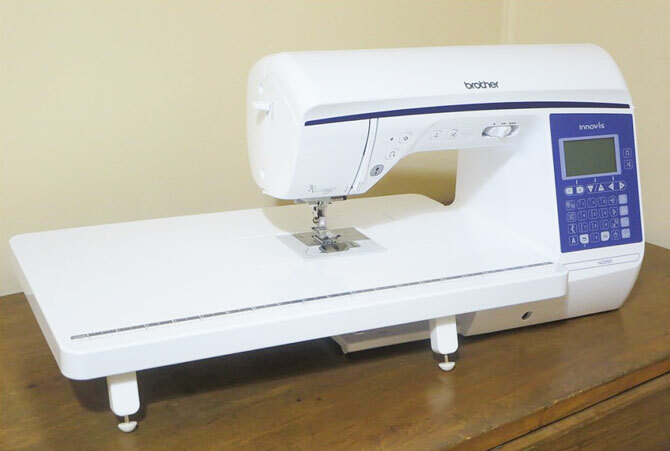 Yesterday I talked about setting up the Brother NQ900 and getting ready to sew. Now let’s start making a Fidget quilt. I began by cutting the following rectangles from fabrics of various textures – cotton, textured fleece, silky polyester and flannel. I put them on my design wall to check color placement, but I won’t be sewing them together yet. I chose a cozy flannel for the backing. This will help to keep the quilt from sliding off the user’s lap. 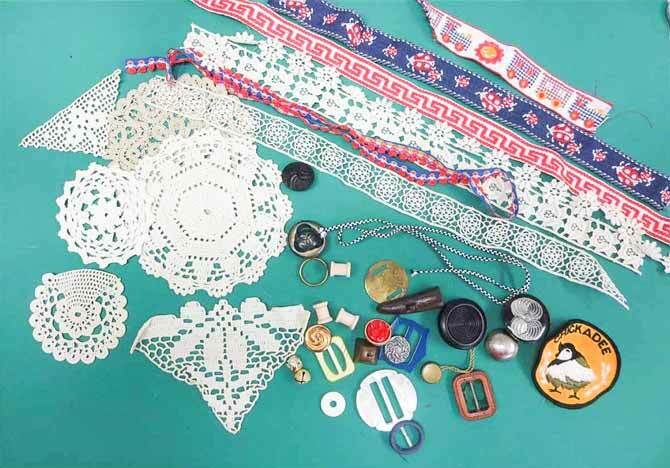 Then I gathered up various trims, ribbons, braid, buttons, buckles, zippers etc. I won’t be using all of these, but it gives you an idea of the types of embellishments that can be used. Embellishments for my Fidget quilt – ribbons, lace, buttons, zippers etc. Zippers are good things to use in fidget quilts as they provide some texture and sound as well as creating an activity for restless fingers. Here’s a great video that you can watch that shows an easy way to insert a zipper using the NQ900 machine. 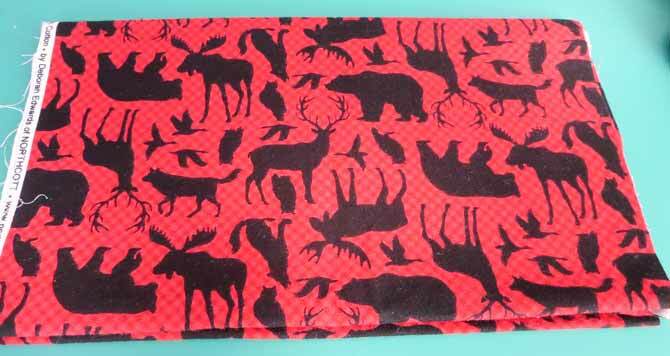 I’m showing you how to sew a cosmetic bag zippered pouch on a Brother sewing machine. I used the method from this video to sew a 7″ zipper to 2 pieces of fabric 9½” x 2″ that had been sewn together with a ½” seam. You can cut your strips to whatever length will accommodate your zipper. I used the zipper foot “I” that comes with the machine. Most of the feet for the NQ900 machine just snap on and off with the touch of a button. After the zipper was sewn in the seam, I removed the basting stitches to expose the zipper. Then I folded the fabric, right sides together and sewed around the 3 open edges to make a tube. The tube was turned right side out and pressed, keeping the zipper in the center. My zipper had a small tab, so I threaded some ribbon through it to make it easier to grasp. There are 10 different buttonholes on the NQ900, all using the buttonhole foot. I couldn’t resist trying a few of them before I got to my project. Placing the button in the adjustable holder at the back of the foot determines the size of the buttonhole. Draw a line on the fabric to mark the front of the buttonhole. Line up the markings on the buttonhole foot with that line and you’re ready to go. 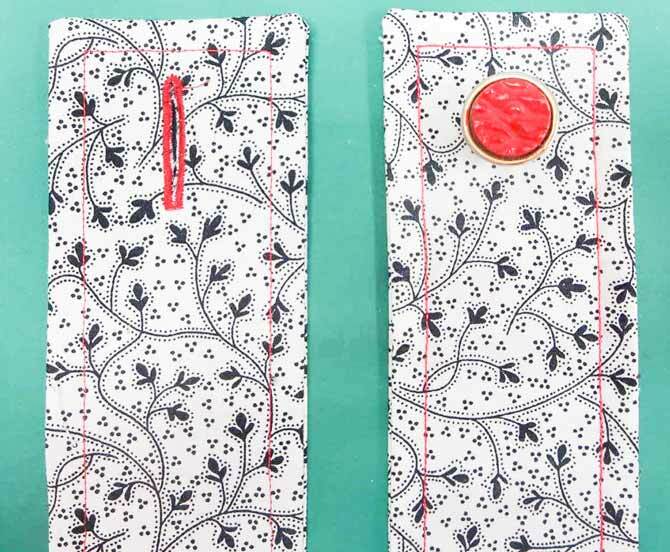 Just choose the buttonhole style you want and start to sew. It’s always a good idea to do a ‘test’ buttonhole first to make sure it’s what you want. With the NQ900 you can adjust the length and density of the stitch to suit your thread and fabric. Here’s a video you can watch that explains the buttonhole foot very well. The video refers to a different Brother machine, but all the information applies to the NQ900 as well. 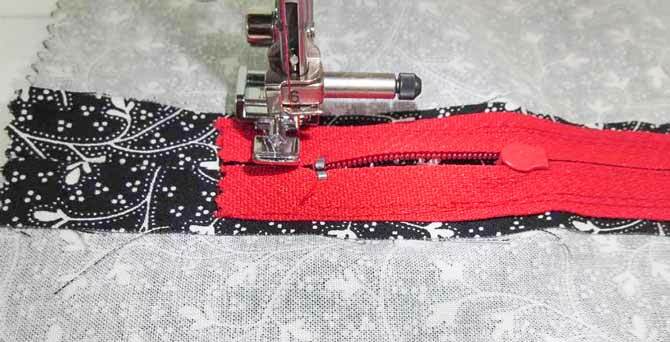 How to setup your machine for sewing a buttonhole along with how the buttonhole foot works. For my ‘test run’ I used 2 layers of cotton fabric with a layer of iron-on interfacing between them. 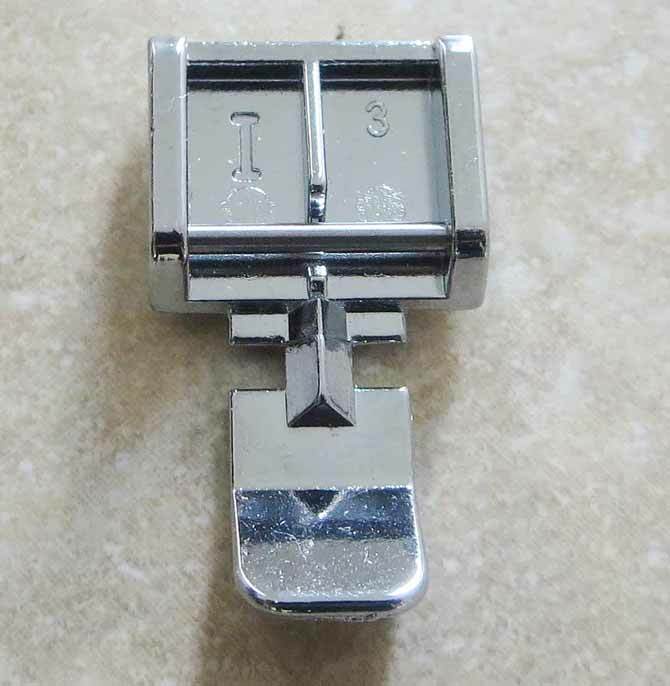 The buttonhole foot included with the machine just snaps on like all the other feet. For buttonhole 1, I used stitch #79 at the default setting with regular sewing thread. I felt the stitches were not close enough together, so I shortened the stitch length to 3 to make buttonhole #2, which I found to be more satisfactory. 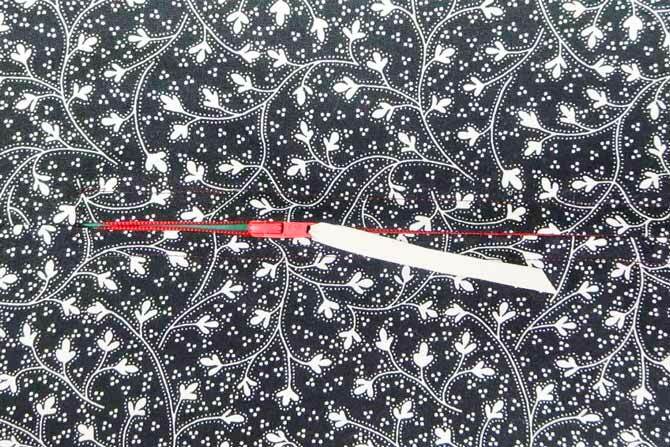 Buttonhole number 3 is stitch #80 with the stitch length shortened to 3. Buttonhole 4 (stitch #84) is at the default setting and 5 is the same buttonhole with the stitch length shortened to 3. Buttonhole 6 is the same buttonhole again, but was made at the default setting using a heavy 12wt thread. Buttonhole 7 (stitch #82) was made using a heavy variegated thread in a regular needle. You can see that some stitches were skipped. I changed to a top stitching needle and buttonhole 8 came out perfectly! You can see how important it is to run a swatch check of your buttonhole with the fabric, needle and thread that you’ll be using. For my Fidget quilt, I wanted to make flaps with a button and buttonhole. I cut 4 strips 3″ x 8″. I put a 2½” x 7″ strip of iron-on interfacing on the wrong side of 2 of the strips to make the strips a little sturdier. I sewed 2 strips (1 with interfacing, 1 without), right sides together, along 3 sides, leaving 1 short end open for turning. After turning the tubes right side out and pressing, I made a #79 buttonhole at the end of one strip and then top-stitched the edges of each strip. The machine sewed through all the layers with no problems! I made sure to sew the button very securely to the end of the other strip. The raw edges will be folded under when the strips are attached to the Fidget quilt. 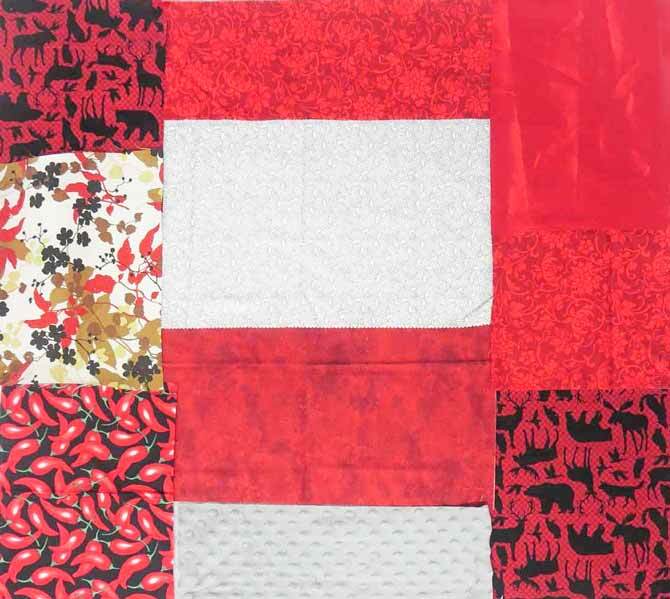 Come back tomorrow and see how to use some decorative stitches and make pockets for the Fidget quilt using Brother NQ900 machine! Thanks for the info on this! I’m thinking of making a fidget quilt for my mum! Thanks for the ideas! You are welcome Allison. Have fun with your fidget quilt! I have made one for a friends mom it was very useful.